Between low-paying jobs, car troubles, student loans, vet bills, and trying to pay down credit card debt, Toni Okamoto spent most of her early adult life living paycheck to paycheck. So when she became a vegan at age 20, she worried: How would she be able to afford that kind of lifestyle change? Then she discovered how to be plant-based on a budget. Through her popular website, Toni has taught hundreds of thousands of people how to eat a plant-strong diet while saving money in the process. With Plant-Based on a Budget, going vegan is not only an attainable goal, but the best choice for your health, the planet—and your wallet. Toni’s guidance doesn’t just help you save money—it helps you save time, too. 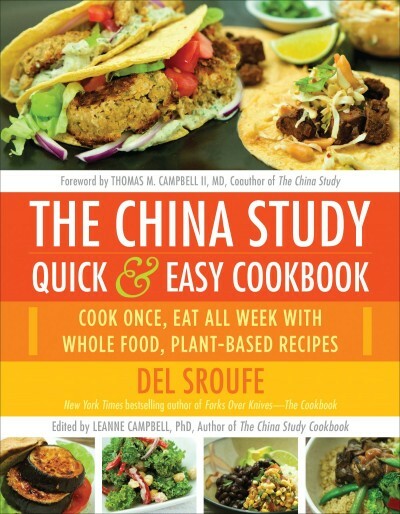 Every recipe in this book can be ready in around 30 minutes or less. Through her imaginative and incredibly customizable recipes, Toni empowers readers to make their own substitutions based on the ingredients they have on hand, reducing food waste in the process. 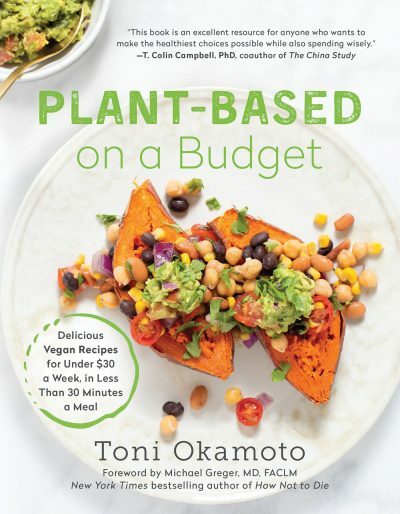 With a foreword by Michael Greger, MD, Plant-Based on a Budget gives you everything you need to make plant-based eating easy, accessible, and most of all, affordable. Toni Okamoto is the founder of Plant Based on a Budget, the popular website, food blog, and meal plan that shows you how to save dough by eating veggies. She’s also author of The Super Easy Vegan Slow Cooker Cookbook. Plant Based on a Budget has been featured in Reader’s Digest, US News and World Report, and more. Toni’s also a regular presence on the FOX affiliate in Sacramento, where she teaches viewers how to break their meat habit without breaking their budget. Toni is a burrito enthusiast, and spends her free time swing dancing across the county. She resides in Sacramento with her wonderful partner, Paul Shapiro. When I became a vegan in 1987, I was making $2,500 a year and spending $10 a week on food. And amazingly, I ate well! This book shows how easy it is to eat well and be a vegan without spending a ton of money. Plant-based eating has never been easier—or more affordable—than now. Buy this book and let Toni Okamoto help you keep your stomach and wallet full at the same time. Eating plants saves animals, and Toni Okamoto expertly shows you how it can save you money, too. Toni Okamoto gives you the truth what too many large health charities are afraid to: eating a plant-based diet can help save your life. She also shows you how it can save your finances, too. Whether or not you’ve got money growing on the trees in your life, if health is wealth—and I believe it is—than this book will give you the great gift of wealth that you deserve.